In 2017, fewer officers died in the line of duty than from suicide. It was a big day at David and Melissa Swailes’ home on Feb. 26, 2016. It was their youngest son’s second birthday. “We had planned, as a family to go to Disneyland,” said Melissa Swailes. But when she arrived home that day, Melissa found David dead inside their master bathroom. He had shot himself. 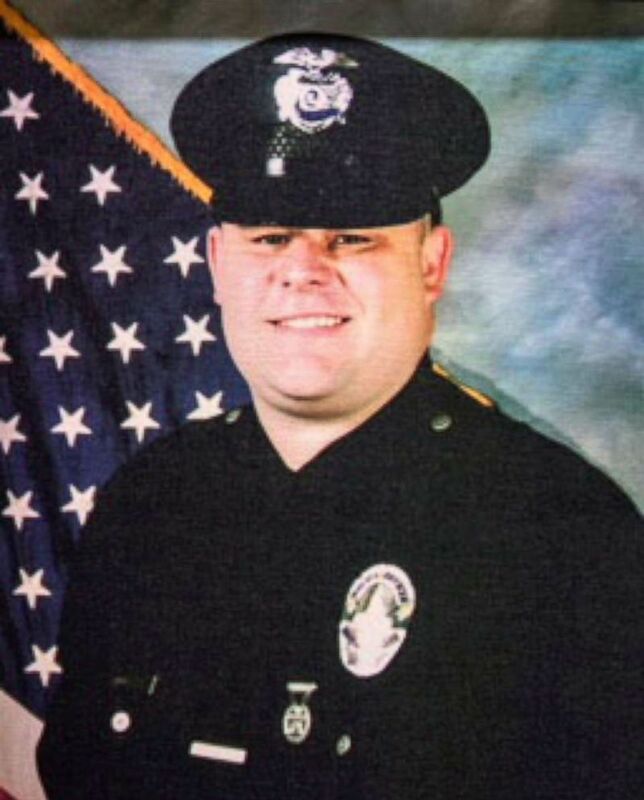 David was a decade-long veteran of the Los Angeles Police Department. After serving in the military and then as an LAPD officer, David began suffering symptoms of post-traumatic stress disorder, or PTSD. He had a hard time sleeping, and would go into fits of paranoia, Melissa said. Believing that he’d be taken off patrol if his commanders found out about his mental illness, David kept his struggle private. He self-medicated with food, which his family thought was better than drugs, alcohol or infidelity. But on the day he promised Melissa that he’d tell his captain about his PTSD, he killed himself. (Melissa Swailes) David Swailes’ department graduation photo. “The last thing he told me was, ‘Take care of the boys. I love you. And then he hung up,” Melissa recalled, speaking of their final phone conversation before she returned home. Nationwide, statistics show that more police officers are dying from suicide than from on-duty deaths. A 2018 study by the Ruderman Family Foundation, a private philanthropic organization, found that in 2017 there were 129 police officers killed in the line of duty compared to 140 officer suicides. The group found that little has been done nationwide to deal with mental health issues like PTSD and depression within police ranks. Since her husband’s death, Melissa has talked openly about her story in hopes of preventing more officer suicides, even being featured in a PSA for the LAPD, which has been working to reduce those rising numbers. The department’s unique Behavioral Science Services unit, known as BSS, is on a mission to end suicides. A staff of 16 psychologists has one goal: treating the minds of close to 10,000 LAPD officers in an effort to prevent suicidal or violent and harmful behavior. Like many departments, LAPD officers are mandated to see a psychologist after a shooting or a major incident, but having in-house psych services makes seeing a doctor a slightly less scary experience for the many officers who might otherwise avoid “shrinks” because of the stigma associated with them. BSS is celebrating its 50th year in service, and the unit will mark the occasion with a ceremony in October. (Melissa Swailes) David Swailes at an LAPD Special Olympics event. “Officers can come in and see us anytime,” said Denise Jablonski-Kaye, PhD, a psychologist in the LAPD’s Behavioral Sciences Services Unit, who sat down with ABC News at police headquarters to talk about the unit’s objectives. “We don’t charge for services. We even validate officers’ parking. There’s no cap on the number of sessions that they can have. And they’re talking to somebody who talks their language, who understands their job, who understands the agency,” she explained. BSS is the longest running in-house police psych unit in the country. Psychologists on staff spend time at LAPD stations, go on ride-alongs, deploy to the field to help officers during stressful events and employ early intervention methods to recognize officers who may be in the primary stages of stress, addiction and anxiety issues. LAPD personnel can also call BSS to check on officers who might be showing signs of problems in their lives. For officers who need help, doctors are available around the clock. Members of BSS have to walk a fine line where they’re not prematurely sidelining an officer just because they might be having a bad day or because something in their lives is making them emotional — they have to make sure the person actually poses a danger to themselves or others. 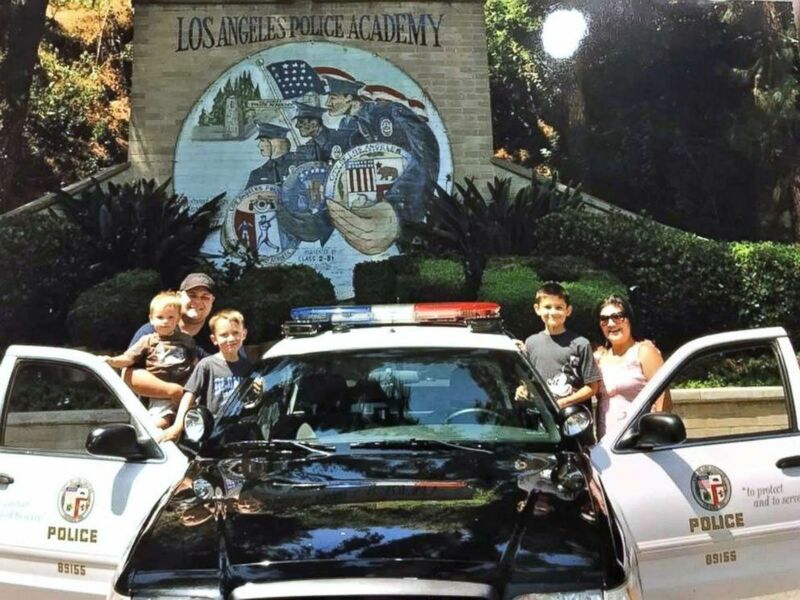 (Melissa Swailes) The Swailes family enjoying an LAPD picnic. Even if an officer has their service weapon taken away, they are able to get it back and return to the field after treatment, once they’re cleared by doctors and department leadership. “We absolutely have people right now, here today, who have had their gun taken away, and returned, and they’re back on the job. They’re doing well. They’re happy and healthy. This was a moment in time that was terrible and awful for them, but they got through it,” said Jablonski-Kaye. The cause of the officers’ stress doesn’t always have to be on the job, either. Many officers seek help from BSS because of issues at home, and it’s still all free and confidential. “The main issues that they come for are relationship problems, and that’s what you generally see in the general population as well. Their relationship isn’t going well. They’d like to get out of the relationship they’re in. Or, they’re in too many relationships. It’s usually relationship problems,” according to Jablonski-Kaye. 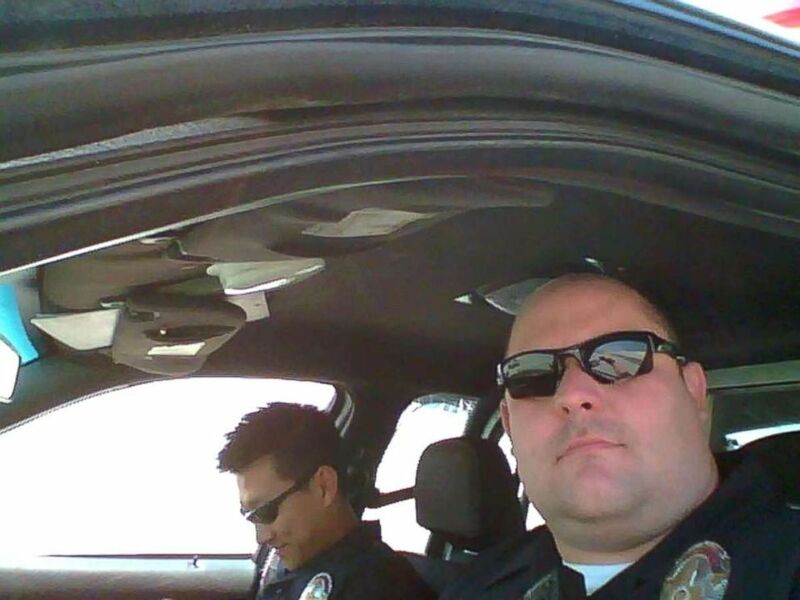 (Melissa Swailes) David Swailes taking a selfie on patrol. The LAPD has historically seen about two suicides per year within its ranks, but there has not been a suicide in the department since July 2017. 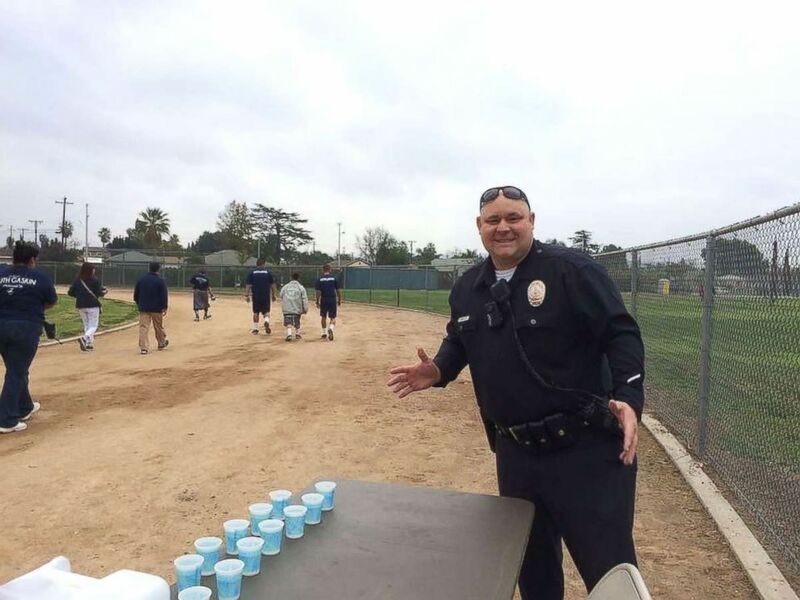 “My mission really has been zero suicides in [the] LAPD,” Jablonski-Kaye said. “The year that we lost David Swailes we also lost a female detective, and both deaths had a very significant impact on the department. Both of these deaths caught us all by surprise, and for me, I felt that I needed to do more, have a greater impact, and work to get the department to really see saving our officers as a priority,” she added.